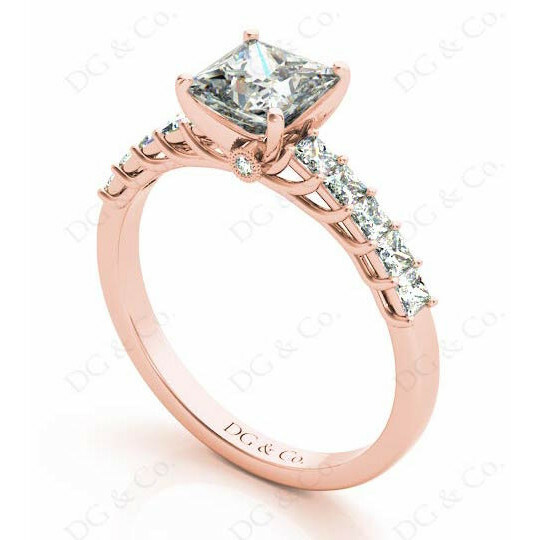 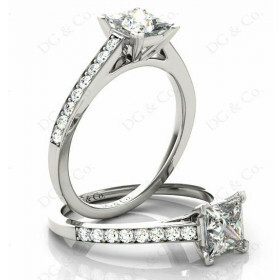 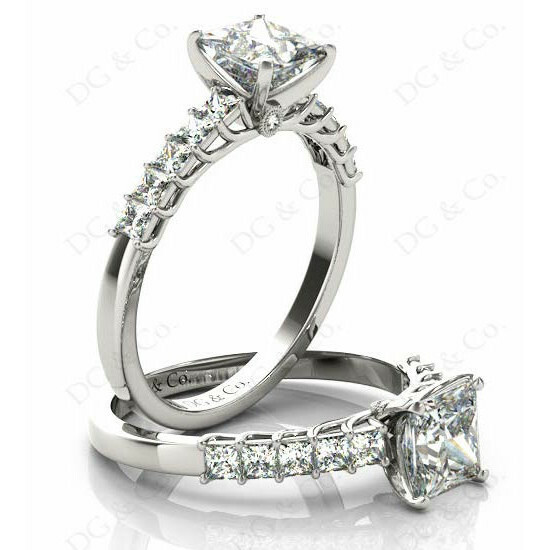 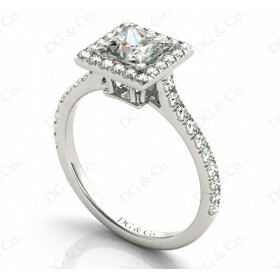 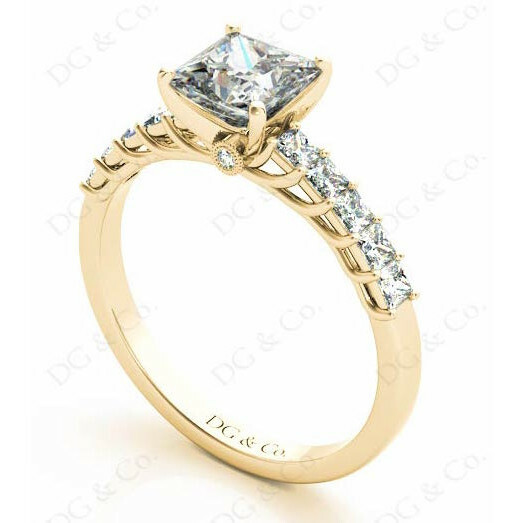 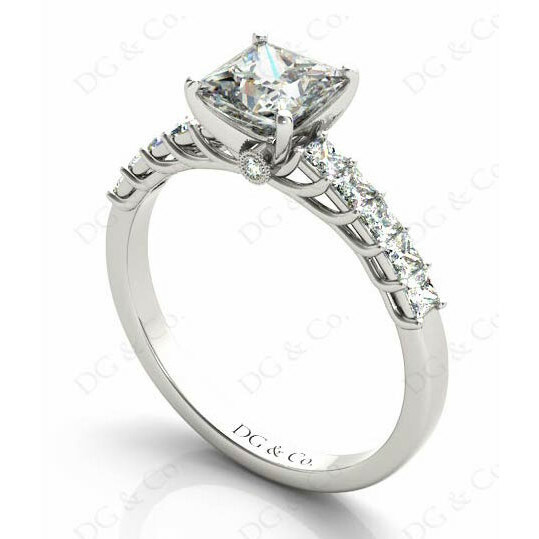 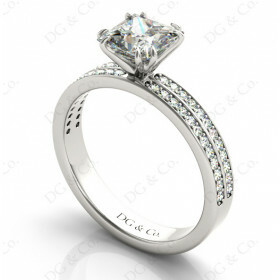 Princess Cut Four Claw Set Diamond Engagement Ring with Princess Cut Stones Claw Set Down the Shoulders and Brilliant Grain Set Stones on Both Sides. 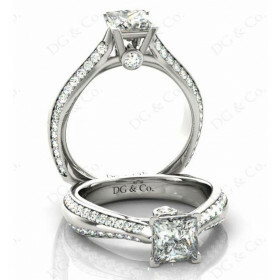 Princess Cut Four Claw Set Diamond Engagement Ring with Princess Cut Stones Claw Set Down the Shoulders and Brilliant Grain Set Stones on Both Sides. 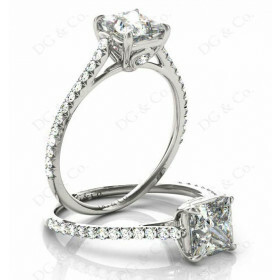 10 princess cut 0.046 carat and 2 brilliant cut 0.005 carat. 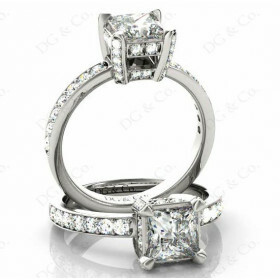 You're reviewing: Princess Cut Four Claw Set Diamond Ring with Princess Cut Stones Down the Shoulders and Brilliant Stones on Sides.